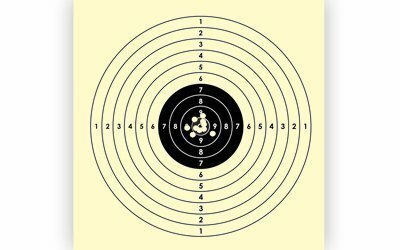 Rules and conduct of the air pistol shooting competitions. The basic techniques, such as shooting position, gripping the pistol, sight alignment, trigger operation. The expenses related to continue shooting after the basic training is over. If you are serious in pursuing the sport then you must buy your own air pistol because using the club pistol has sever limitations as you will soon realise. I recommend the Morini Model 200 as the best pistol in the market, because of its outstanding trigger, new compensator, light weight and general overall balance. How to correctly grip the pistol? How to obtain sight alignment? How to develop good focus? How to operate the trigger? What is follow through and how to master it. There is a cause for concern if you do not have a good coach because without good coaching it is IMPOSSIBLE for you to improve your scores. On your own, your scores will keep fluctuating up and down. One day you will shoot well and the next day your scores may drop and the worst part is that you do not know why and where you are going wrong. That is why you require good coaching. Luckily for you, www.foresightshooting.com provides you FREE Basic Techniques through Videos and Text Lessons. If you become an Elite Member your scores will improve much faster as you subscribe to higher modules.